Learn the basics of knotting with string using specialized tweezers. This class is great for beginners or students wishing to refresh their knotting skills. 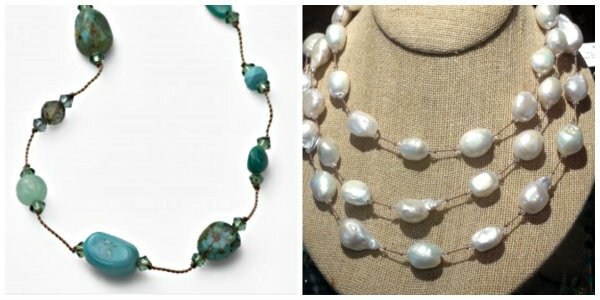 Patricia will help you design a necklace of pearls or stones. Patricia offers more than one class on her teaching days. If you register on line we will call you to confirm your choice and mail you a supply list. Note: Our flexible schedule means that recent changes at the shop may not be reflected on line! Please don’t sign up on the website a day or two before class--give us a call to make sure there is a class and that there is room for you. Thank you.